As a long-time Pull-Ups Potty Training Partner, I’ll be on hand to answer your potty training questions — in 140 characters. Plus, we’ll share war stories (or pee and poo stories) and get loads of laughs about loads in diapers. Really. One (1) Grand Prize: Flip cam, $100 Visa Gift Card and $100 Spa Finder gift certificate. Approximate Retail Value (ARV) $400.00. Two (2) First Prizes: $200 Visa gift card. Approximate Retail Value (ARV) $200.00. Three (3) Second Prizes: $100 Spa Finder gift card. Approximate Retail Value (ARV) $100.00. Six (6) Third Prizes: Potty Training Success DVD and product discount coupons. Approximate Retail Value (ARV) $15.00. We’re also going to talk about the March 5th Potty Dance Day. Sign up at theFacebook page to join thousands of potty training families across the country on Potty Dance Day – a day designed to help parents and Tots get excited about potty training! Tune in at www.Pull-Ups.com at 11:30 a.m. ET for a special LIVE streamed concert from children’s music group, Ralph’s World, where they’ll be performing The Potty Dance. 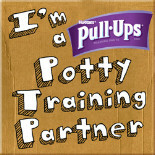 I have partnered with Pull-Ups® to serve as a Pull-Ups® Potty Training Partner for six years…so far. 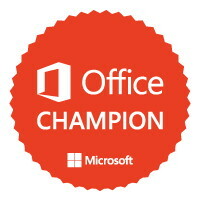 I have been compensated for my time commitment to the program, which includes writing articles for Pull-Ups.com, offering tips and advice on the Pull-Ups® Facebook page and holding “Potty Training Talk Office Hours” on the Pull-Ups® Facebook page. However, my opinions are entirely my own and I have not been paid to publish positive comments or endorse the product. Besides, my kids used Pull-Ups, and I am a believer. (Just put in your Twitter handle, email addy (not shared) and if you don’t have a blog, just put your Twitter page URL). How exciting! I can’t wait. So glad i saw this tweet!!!!! what happens if u dont have a twitter page? so excited for tonights party..i have a 2 year old that i am struggling with! Can’t wait! Starting to patty train my second son recently. Could use some tips! I’d love to win for my grandson and his mother. I may be late to the party, tho, but I sure hope to attend. Thanks! Cant wait! no more potty training here but love to share my wisdom! Woop Woop!! I guess I will be staying up past my bedtime to party!! i could use some potty training help! Tiffany, you are listed as #19.